Casaroro Falls: A stunning beauty in its pantomime narrowness. Every waterfalls have different features, they induce a variety of unique beauty and they have their own style of captivating the eyes of every traveler and even those who love natures. 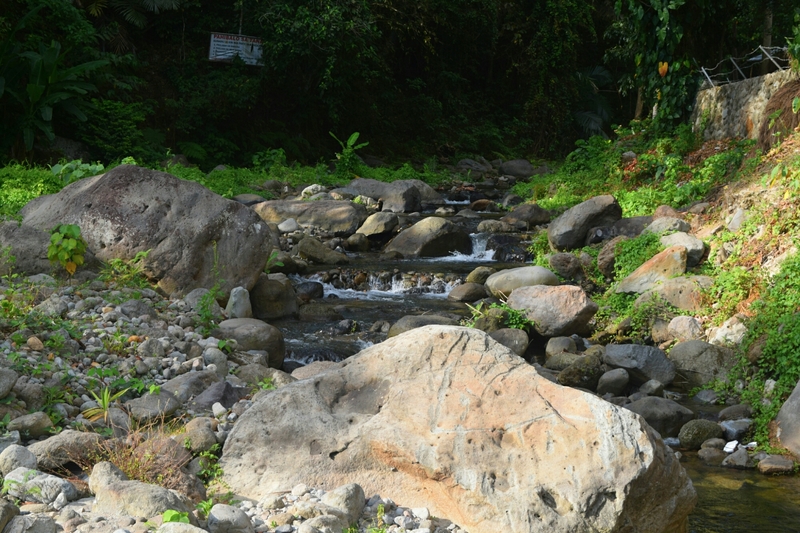 Casaroro Falls is nestled in the lush scenery green mountains in the town of Valencia, Negros Oriental. 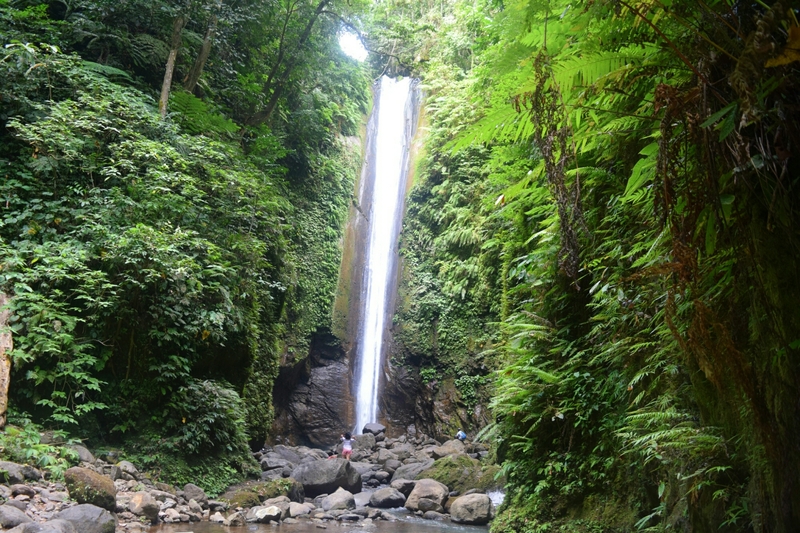 It is alleged to be the most photographed waterfall in the entire Negros province, with its genuine natural beauty and charm. It is situated 9.4 Kilometers west of Dumaguete City. 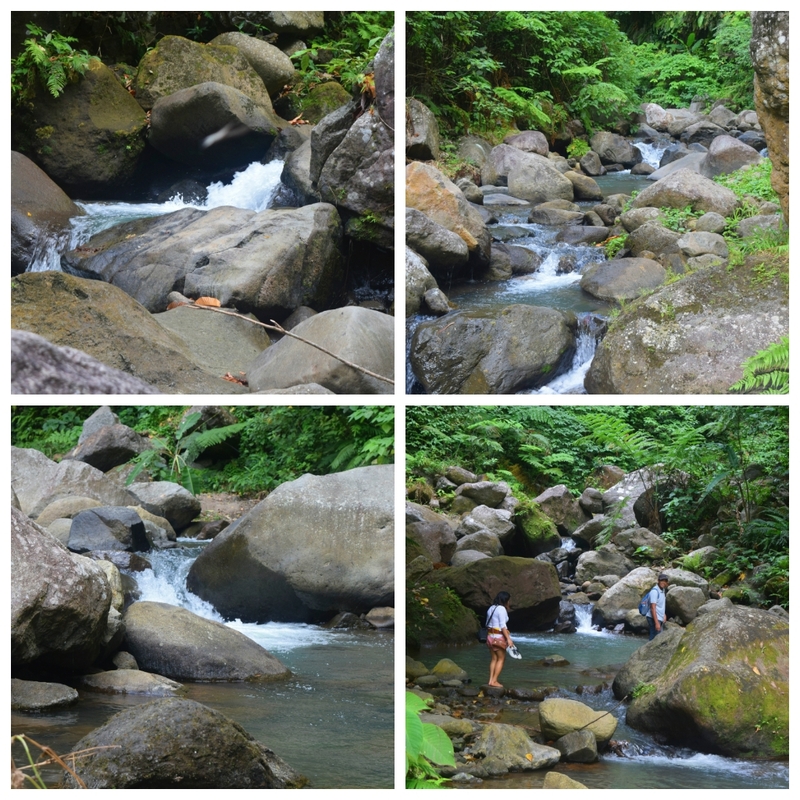 A truly one of the hidden Gem of Negros Oriental. With its innate beauty, a lot of adventure seeker and nature lover have been drawn in and fell in love. 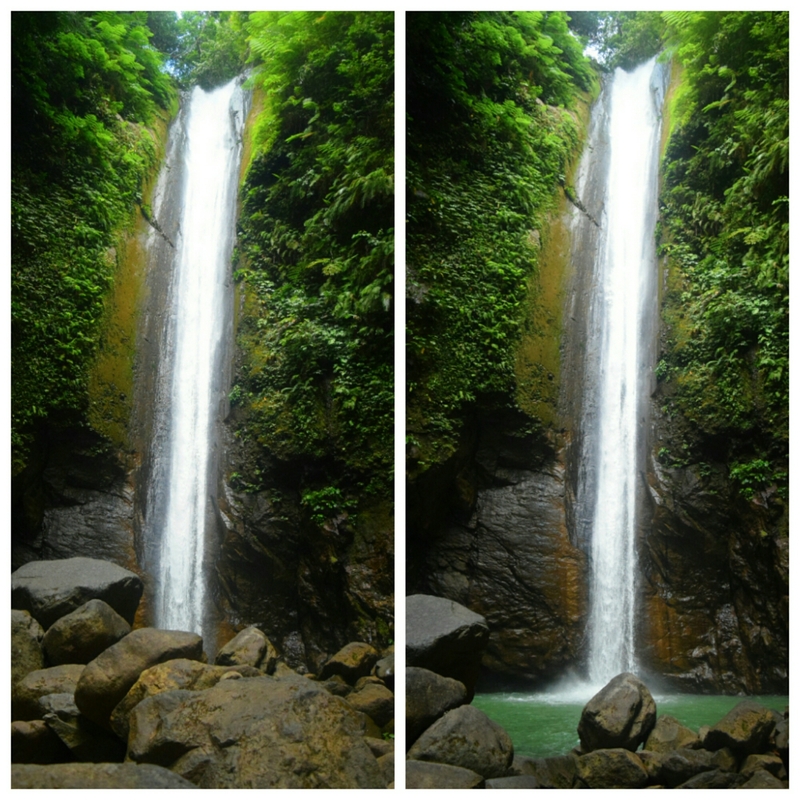 Despite of steep trails, tourists would still consider Casaroro falls as a must-visit destination. Prying the whereabouts of Negros Oriental right after we arrived in the City of Gentle People. 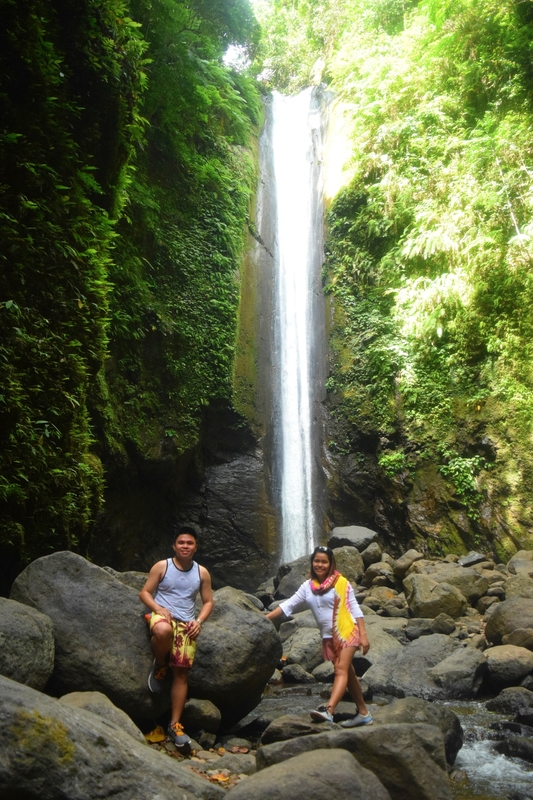 (Damaguete City) Was what brought us to the lofty and awesome Casaroro Falls with my cousin (Genelyn Wanan). Looking the best place to stay in Dumaguete City has never been that hard because they have a lot of affordable hotels and pension house that are really easy to find. We arrived late at night and soon enough we were able to get an affordable pension house to stay. Since we have traveled a bit far, getting a good rest is a good thought. This travel of us seemed to be more exciting than our usual visit. Maybe because me and my cousin have just joined together for the very first time in this unplanned travel of us. And so came the defining moment of our sojourn to Casaroro Falls. 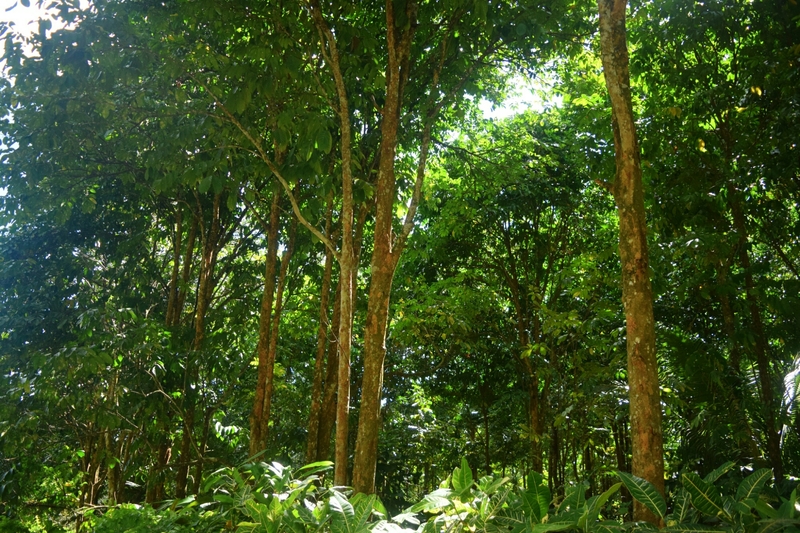 While on our way, I saw a lot of Lanzones trees that are scattered around, I was then thinking, I have missed the Lanzones farm on Camiguin Island, where they produced the sweetest Lanzones fruits in the country during my visit, but seeing the lanzones trees in Valencia would have been lessened my regret since I missed it on Camiguin Island. It could have been great if I could able to regard the fruits hanging on its tree. It happened on our way we saw some of the tourist attractions in the town of Valencia. 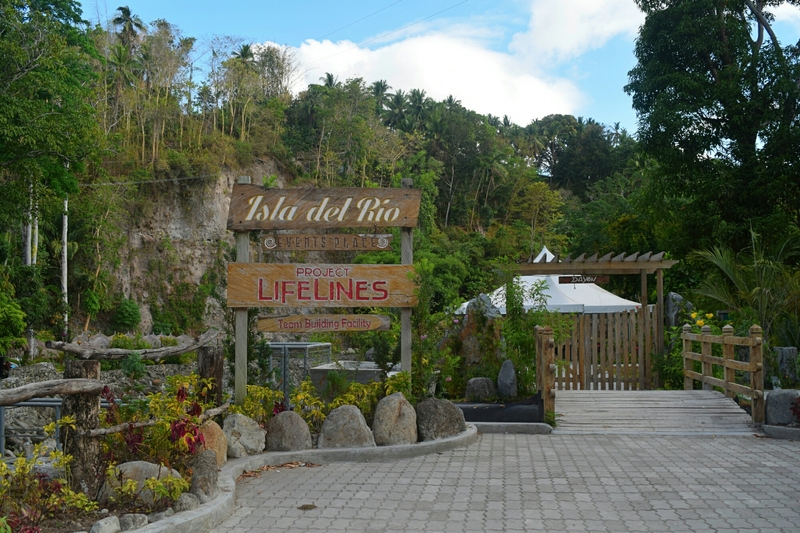 Isla Del Rio and the The forest camp. I saw a river that drew me more excited to see the Casaroro falls, I knew then that we’re almost there. At long last, we arrived at the entrance going to the falls, we paid PHP10 for the entrance and writing down our name for the registration. I immediately noticed the big signage of Casaroro falls. My cousin and I haven’t had any idea what would have been awaiting for us in Casaroro Falls. 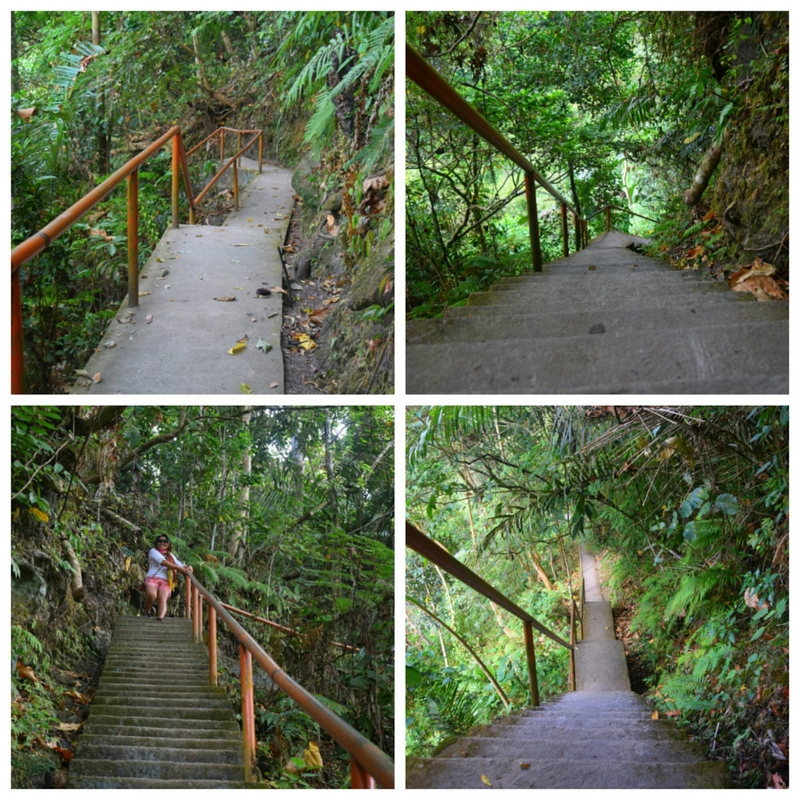 We both didn’t know that we have to take the 300 plus steps going down before we could able to see the sensational beauty of Casaroro waterfalls. I went down first and finding out my cousin struggling on her way down is something I could laugh at. And hence I did (non-stop evil laugh). I was excited going down, in no time I finished the 300 plus steps, I heard the streaming water gently running through the big rocks making a gurgling sound. I’m a bit dismayed, because I guessed the moment I overcome the 300 plus steps the next would have been seeing the falls already. I met two couples who earned their way back to the entrance, so I assumed maybe they have seen the falls already. And so I asked them, hello good morning, how’s the falls? They smiled at me and said we were struggling on our way there, we determined to go back because we saw the signage saying “danger” I was like, what the hell? How hard could that be? They said we do not know. So I halt for a minute and wait for my cousin and our motorcycle driver as happened to be our tour guide also. While they haven’t made it yet, I decided to just take pictures of the streaming water with a positive thought that there’s a way going to the falls. At last my cousin came and our driver, I immediately asked our driver, is there really way going to the falls? He said of course YES! Then I discovered the old hanging concreted path that have been dilapidated and in ramshackle condition. I called for our driver again, What happened to all these? Was there a good way to the falls before? He graciously said yes. This was hit by the great flood during the typhoon Sendong last December 2011. (Sorry to hear about it). Hence we continue our trek going to the falls, it was really challenging because you have to pass through the big rocks and cross the river. What captivated my attention was the big rocks. It appeared to be like they’re growing every year because they’re really huge. Soon enough I heard the bellowing sound of Casaroro waterfalls as if the sound is making a sibilant voice saying come closer and get in touch at my unique beauty. I couldn’t wait to see it, the closer I get to the falls, the excitement feeling is becoming more real. Viewing it from afar, standing astoundingly at the height of 100 feet, the water plunges into a greenish deep cold catching basin, then flow downstream to the fissure huge rocks that creates a wonderful river. What fascinated me was the narrowness of its pantomime natures beauty. It’s far from the other cascades that I have seen already. During our visit, it wasn’t crowded, in fact, it was just me and my cousin and of course our driver who were there. So we owned it for 30 minutes I guessed. We commune with its natural beauty, and looking for a good spot to get pictures. What makes our journey to Casaroro waterfalls feels more fun was that, we can do whatever we want, posing anything we like and caring no one to see us. Only after we have enjoyed the awesome Casaroro falls, there were two couples who have just set their foot of the falls so maybe it’s about time to leave and let them enjoy the falls too. Soon enough, we left the falls with so much felicity. Going back was still a back breaking challenged for us, we still have to pass through the big crevices rocks and overcome the 300 plus steps going up. But Since we have re-charged on ourselves, this time wouldn’t be that challenging. I caught the grin from my cousin’s face, I know deep within us that we both have been satiated. 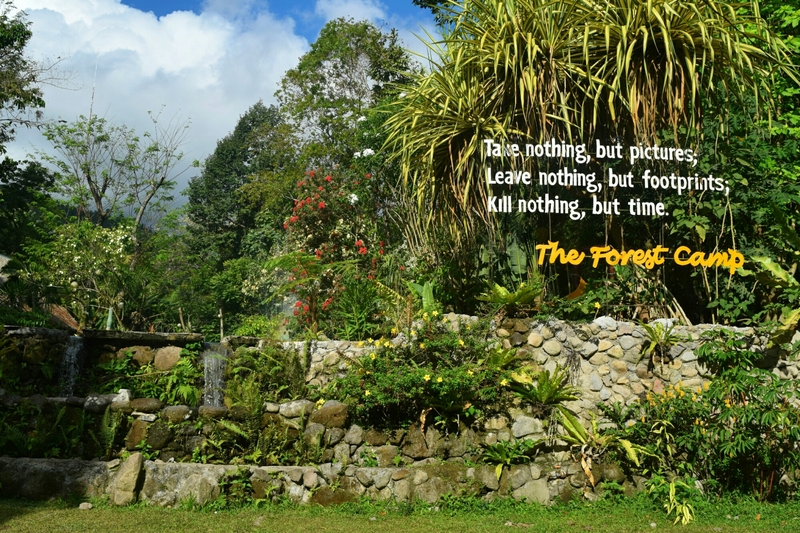 “Leave only footprints, take only pictures, no graffiti! No litter “. You can book a flight going to Dumaguete City, since Dumaguete City is the entry point. The minute you arrived in Dumaguete City go straight to the jeepney terminal. From terminal ride Jeepney going to Valencia, Negros Oriental, the fare is PHP13. The travel time is about 15-20 minutes. 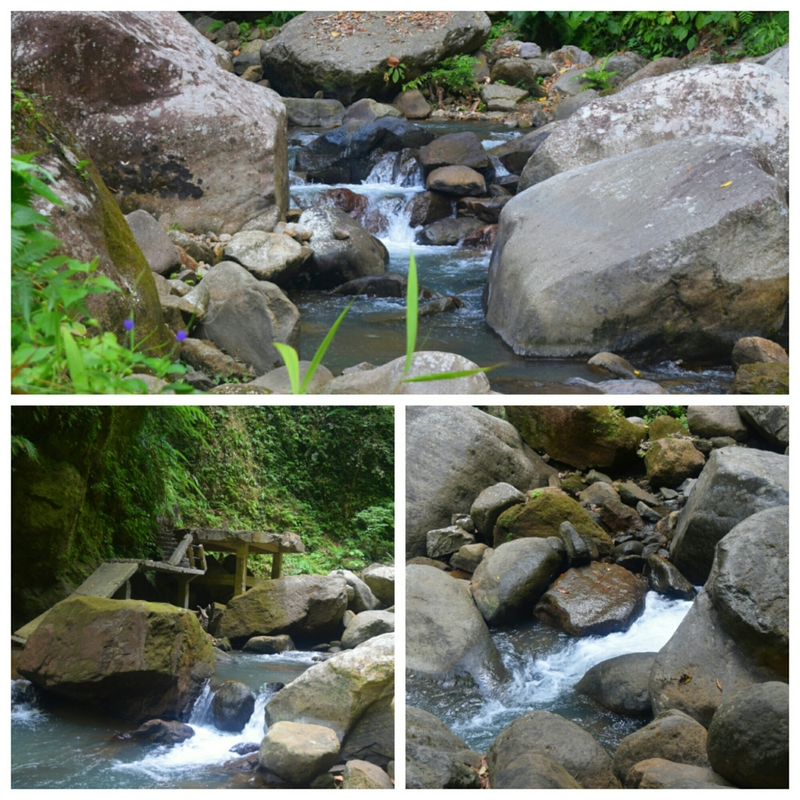 From Valencia town proper you can hinge on a motorbike (Habal-Habal) going to the drop off point of Casaroro Falls. The fare is PHP200 back and forth. Your motorcycle driver can also be your tour guide since the trail leading to the falls has been off the beaten path, (Don’t forget to apply your tips). Address: Cervantes St. Dumaguete City, Negros Oriental, Philippines. Facebook: The Gazebo Pensionne House. Fully- Air Conditioned rooms, with private toilet & bath, Hot & cold shower, cable TV, PABX telephone system, stand-by generator, 24-hour room & housekeeping services, snack & coffee shop, laundry & pressing services upon request, WIFI connectivity, safe & spacious parking space, friendly & courteous staff. Why I chose to stay in the Gazebo Pensionne House? Because they are not just offering very affordable price, but their room charge per units is also comes with free breakfast. Thanks for dropping by my blog and for commenting. Yes, I must aver, that place is truly a hidden Gem that one must-visit. Beautiful! We were supposed to visit there as a side trip during our Mt. Talinis climb. However, a lack of time prevented us from doing so. 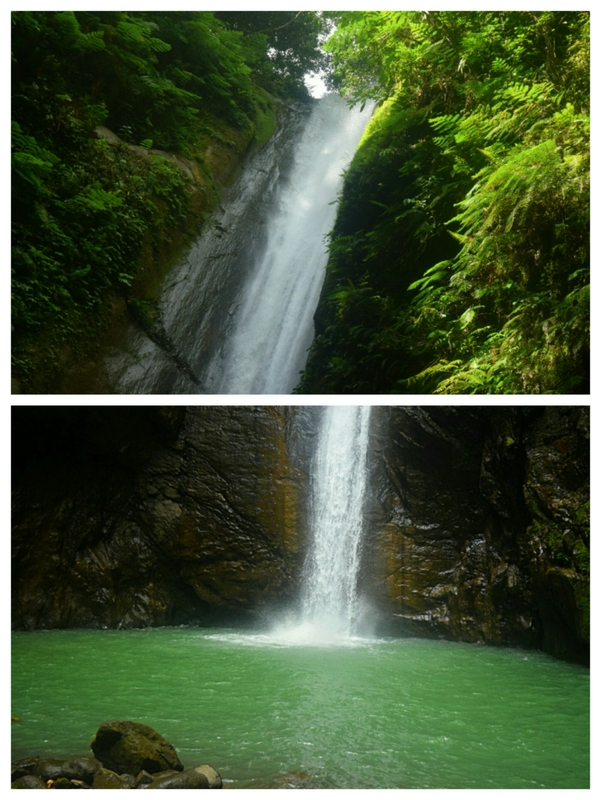 We’ll surely be back to see Casaroro Falls sometime. Thanks for dropping by, I’m sure you’ll induce a perfect time on your visit to Casaroro Falls. 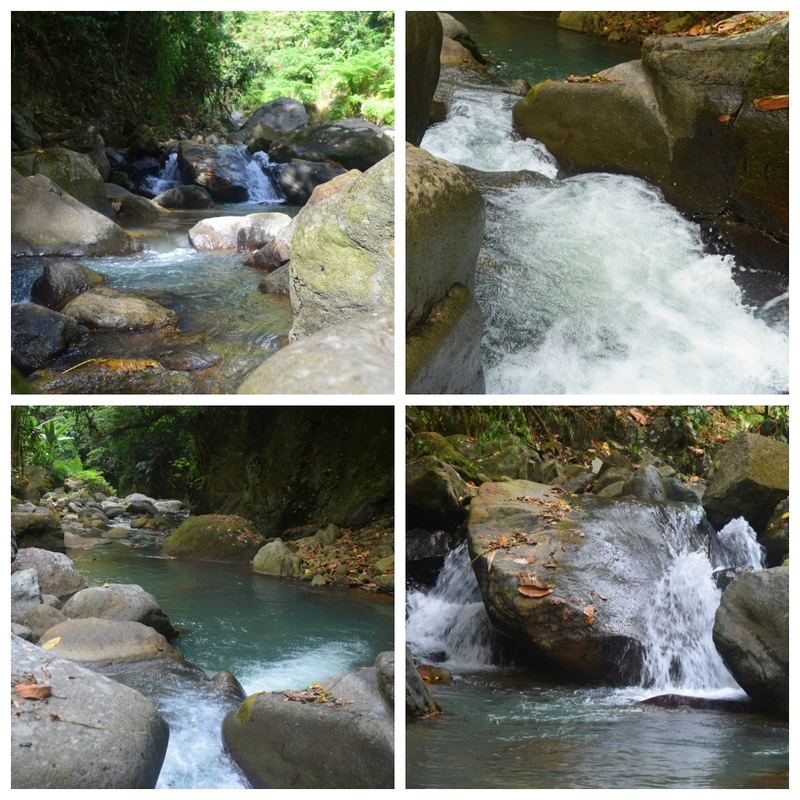 Wow, there are actually much awaited beautiful place in Negros Oriental that is awaiting for your visit. I will certainly read your experience there soon. Thanks again for dropping by. 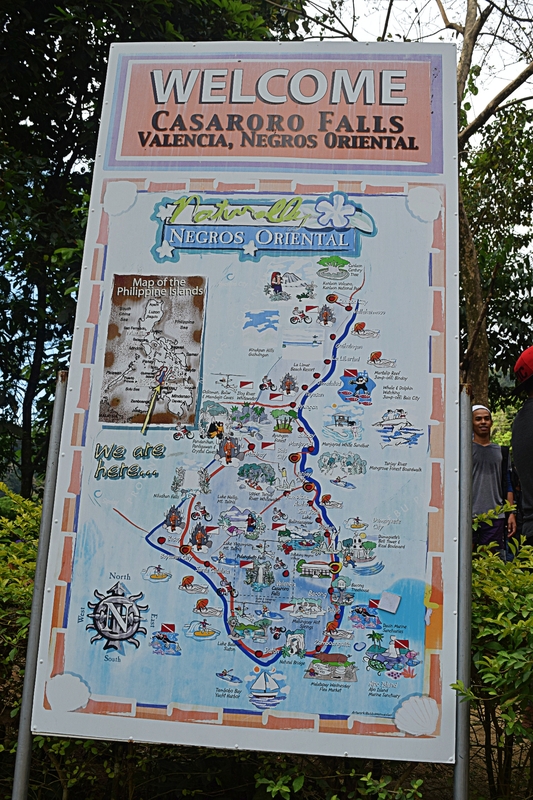 Yes, you must see that hidden Gem of Negros Oriental. Yes it is looks like a sturdy laser beam. Great idea. Thank you so much for dropping by mate. Have a great weekend. This could be another stop when I travel to Dumaguete. I’m planning a Dumaguete trip but instead of Dumaguete, I was able to book Tacloban last seat sale. Lol. But anyway, it’s good to know that you’re visiting places that aren’t popular with the tourists yet. Soon enough it might become crowded. I hope people will take your tip and will really leave nothing but foot prints. I love this post!! It’s so detailed, perfect guide for interested travellers! 🙂 Your photos turned out amazing! I just might add this to my places to go this summer 🙂 Thanks for sharing this! You definitely had an adventure crossing that river and noticing that the old path has been destroyed back in 2011. I wonder why it hasn’t been rebuilt since. Aren’t there so many tourists visiting to worth repairing it? Also, the Lanzones trees and the name Valencia, made me think of the Valencia oranges in Spain. They are also a very sweet type of orange. I have never tried Lanzones before, I assume they are a fruit as well? Whoa! 300+ steps! So much effort required to get to the falls, but I’m sure it was worth it. Just looking at the breathtaking photos, I’d say I would also travel all the way there to see “the most photographed waterfall in the entire Negros province.” It’s also a good thing that it’s not too accessible so that it won’t be too crowded and infested with tourists! This is the first time I knew about the Casaroro falls. 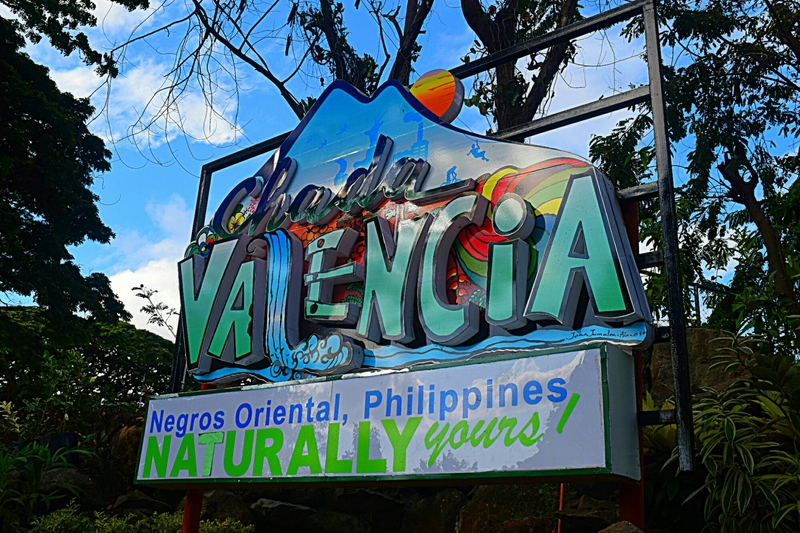 It’s a nice place for a summer outing and it reminds of the many falls we would visit during summer when I was young back in our barrio. That’s an awesome waterfall to have to yourselves. Your poor cousin though! You should have helped her. She looks like she was scared going down for sure. This is such a beauty. I dont know but falls always amaze me. They can be serene and beautiful from afar or at a short distance. I love its cold water and its sound. Awesome waterfall!. 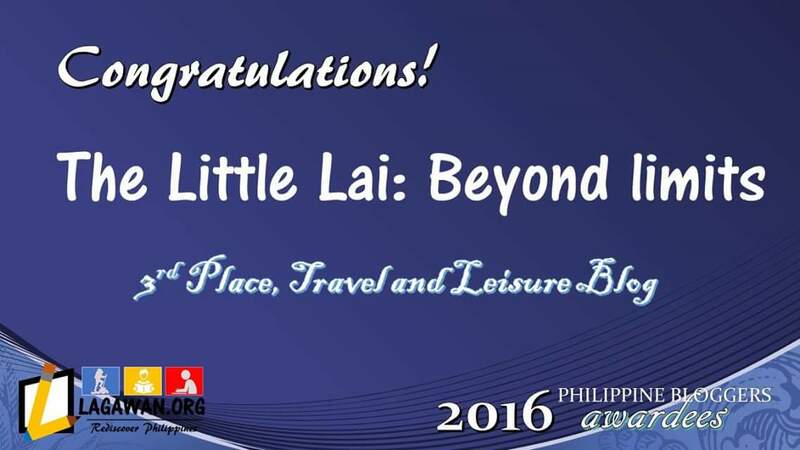 Thank you Lai! Been following your adventures because you’re based in Visayas/Mindanao and if you’re from Luzon, you’d rarely see such beauties. What are these lanzones? Wish you had put a picture of it. The trip does seem adventurous. Worth the effort going till the falls. What a beautiful destination! It sounds like it’s popular with couples too. The journey back must be challenging, I dont know if I could do the crevices. The way you wrote your post made me feel like I was right with you as you got closer and closer. I can’t even imagine what this waterfall looks like in person. Wearing rubber shoes is a really good tip! You always have unique adventures! I absolutely love waterfalls and can stare at them for hours. Those 300 plus steps going down sounds like something I would need to train for on the step-master machine! 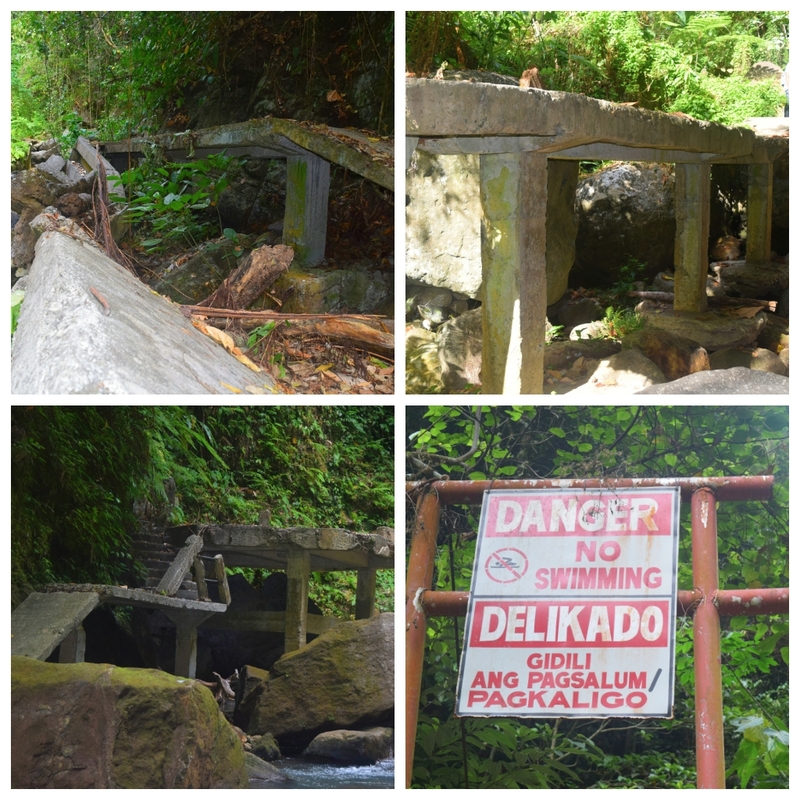 I got a chance to explore Dumaguete, but I’m surprised that I never got to know about this waterfalls! Casaroro seems to be truly a hidden gem. It’s very beautiful! Thanks for the warning about the steps and the river crossing. I’ll be sure to bring my water shoes! Looks like it was definitely worth the trouble though. You really found a beauty in this waterfall. Wow. I can see why it’s the most photographed in the region. I’d love to check this out some day — it’s gorgeous!! Thanks for the helpful tips, too! The Casaroro falls are really spectacular. As appealing as the falls itself if not, even more is the trek to reach the falls. I can almost hear the cascading waters and feel the spray of droplets of water on my face. This post made me miss the Philippines so much! Please have a mango and a buko for me. The thing I love about Philippines’ bounty of natural wonders is that 1) the list seems to always grow; 2) too much traffic doesn’t take away from the environment; and 3) it remains so cheap!10PHP is such a deal for such a beautiful site! Wow! That was a fantastic shot. I’ve never heard of this Casaroro falls before. Thank you for sharing this! 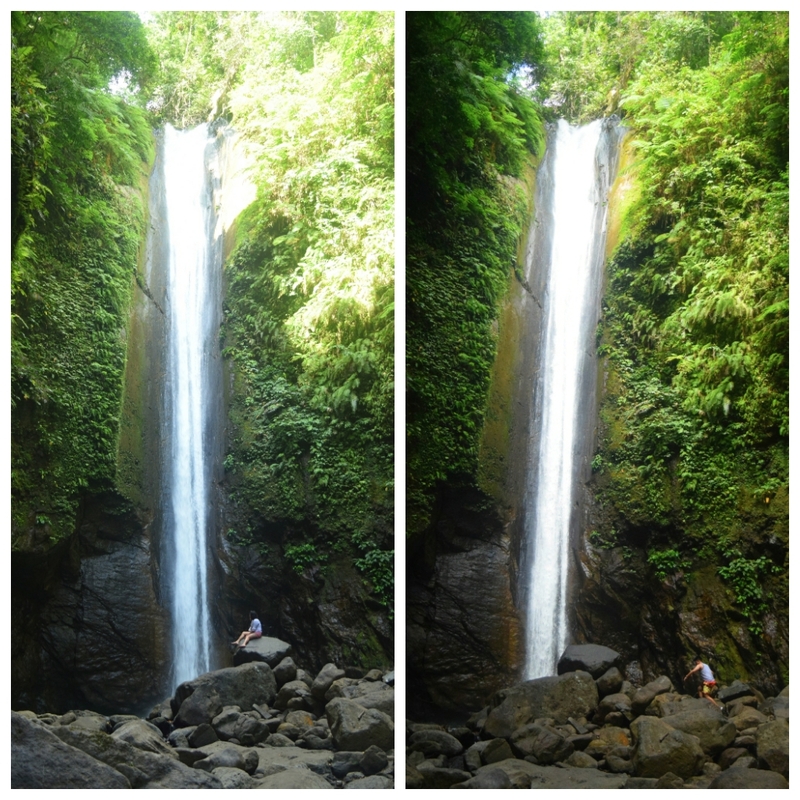 Look at the beauty of Casaroro falls. I feel I can stare at it for hours. I’ll add this to my Travel Wishlist. WOW! That looks beautiful! I would love to go! Casaroro Falls looks really enchanting and beautiful. It’s also nice that there are pathways heading to the falls. Wow! The falls look so beautiful. There’s an ongoing sale on Cebu Pacific Air to Dumaguete. I’m telling my mom about this so they can consider going out on a teambuilding here. The river looks beautiful. Casaroro falls seems like a great place to go especially when you can have the place to appreciate by yourselves. It would also be a good place for photoshoots because it isn`t crowded. 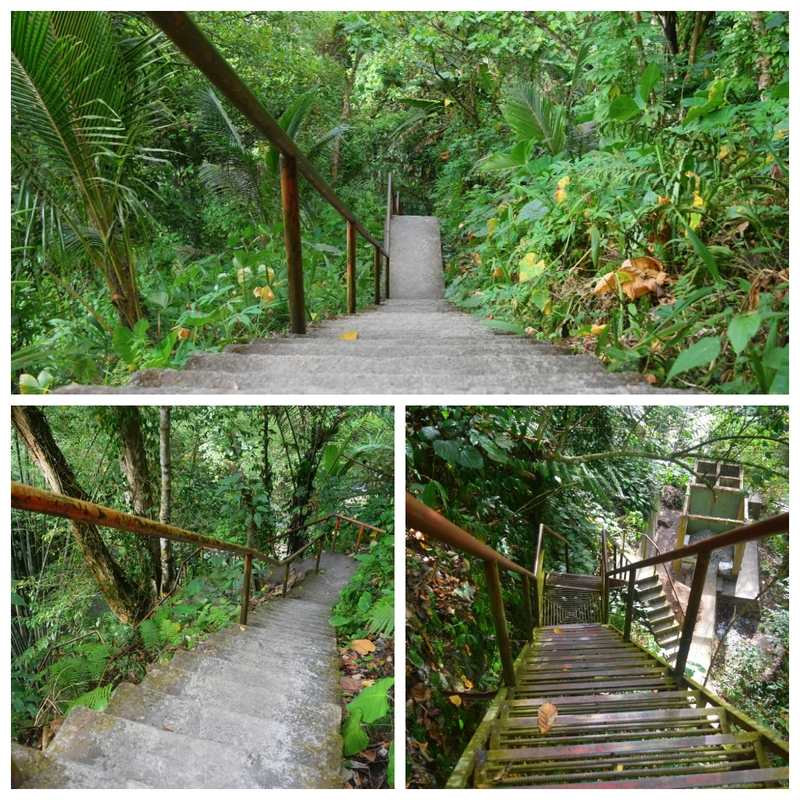 However, the 300 plus steps can be a challenge to some people. Whoa! 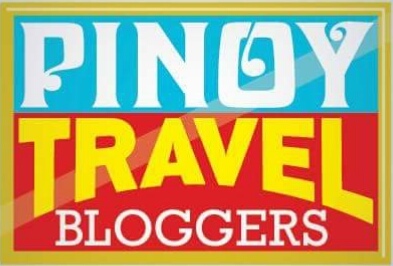 Your blog is becoming the treasure trove of the hidden waterfalls of Philippines! Casaroro looks just so surreal! The falls looks as if someone took a ruler and drew a straight line. The last section of the trek does look difficult with all the boulders, but the final waterfalls is totally worth it! This is like the 5th time I’m reading a waterfall-related article. It’s so confusing at times because I forget the names of the previous waterfalls and forgot if I read them from the same website or different! I think your last post was also about waterfall…Like you said, all waterfalls have their own beauty…I loved this one more though. Steep and tall! Beautiful place it must be to visit. What a beautiful setting with a great landscape and unique waterfall. That narrowness made me crosseyed. Hahaha! Now after walking 300 steps, anything is a great respite.